If you’re bored of your go-to bright manicure featuring only 1 nail polish for Summer, keep on reading because I’ve got you covered! When Spring and Summer arrive I always get a little more adventurous and I like to experiment with nail art designs. This manicure is fun, vibrant and easy to recreate – what’s not to love, right!? All you need for this manicure are 3 of your favourite contrasting nail polishes, a top – and base coat, 1 pair of scissors and some sticky tape. That’s it! I created a pictorial with photos because I find they are easy to follow. Don’t worry, there are step-by-step instructions too! 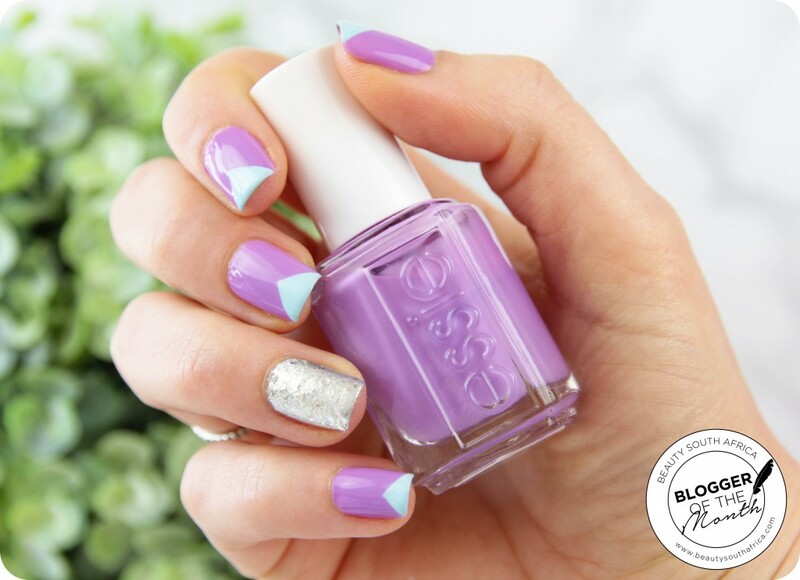 I created this easy nail art manicure for BeautySouthAfrica – remember this blog post where I mentioned I’m their ‘Blogger Of The Month’? Well, this is the second of 2 articles I wrote for them. If you’re keen to check out my first article, which features 5 products to get you ready for Spring, then click here. You can head over to the BeautySouthAfrica website here to see how to create this super quick and easy nail art look. I created a step-by-step pictorial with instructions that are easy to follow (I hope). Is this something you would like to see more of here on my blog? Step-by-step pictorials on how to create certain nail art designs and manicures. It will mostly be nail art for beginners because I know a lot of people don’t have the time, patience or skills to create elaborate designs. Thank you to BeautySouthAfrica for choosing me as your very first ‘Blogger Of The Month’, it has been great working with you! This is so beautiful, love it! I’m not a big nail art fan to be honest, but that’s just me. This is gorgeous, I love it. I would love to see more pictorials, the one you created for Beauty South Africa is soo good. Well done, Luzanne. Love love love these colours! Will definitely be trying this out. I LOVE the purple colour and the designs are beautiful! !